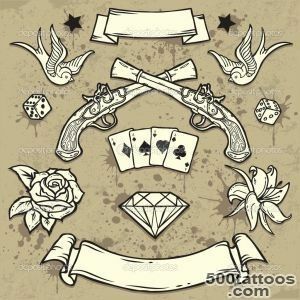 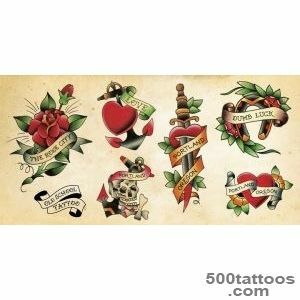 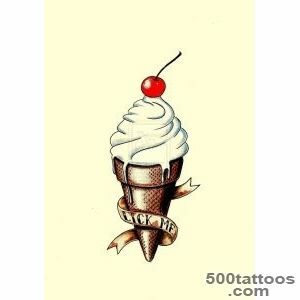 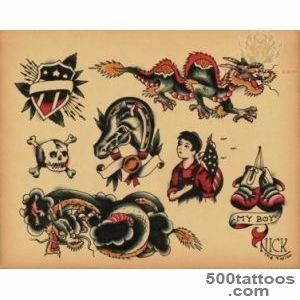 Old school (Old school, " old school " ) - is a traditional style of tattooing. 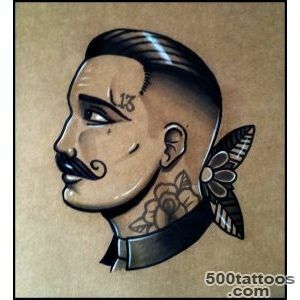 He was born in the 19th century. 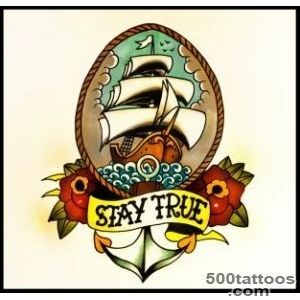 Rumor has it that the first stuffed myself a tattoo of a sailor. 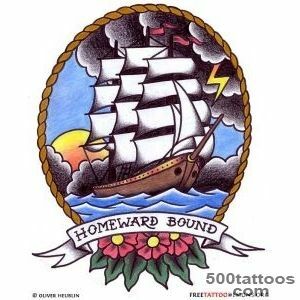 Later this tradition spread to other sailors. 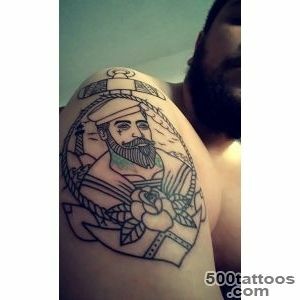 At their tattoos they represented all that was related to their lives.Sailors in a long time went swimming and did the tattoo as a reminder of those who waited for them on the ground. 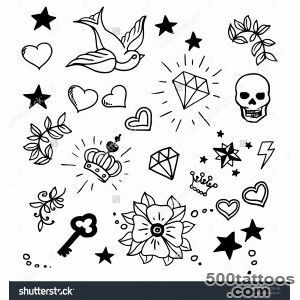 This could be the names of loved ones, their faces. 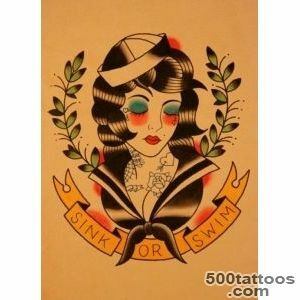 Work at sea was difficult and dangerous. 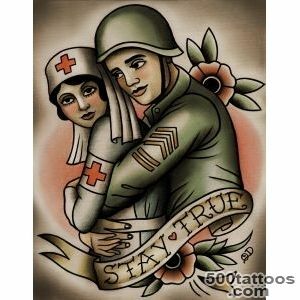 Tattoos have been a kind of protection from all sorts of troubles. 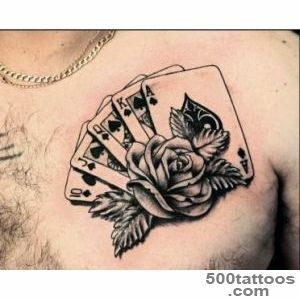 Among the sailors were common gambling,therefore their tattoos can often be seen cards, dice, money. 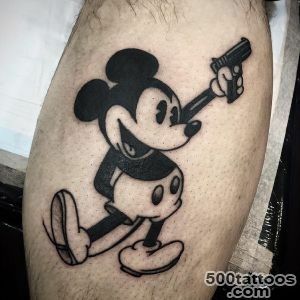 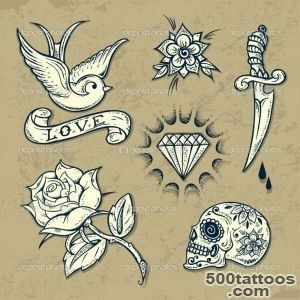 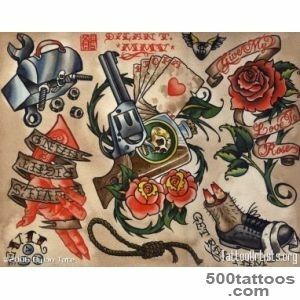 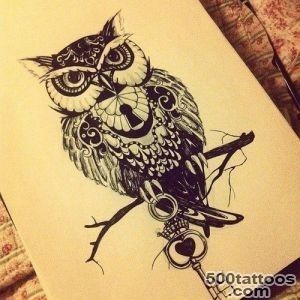 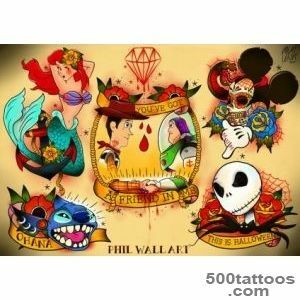 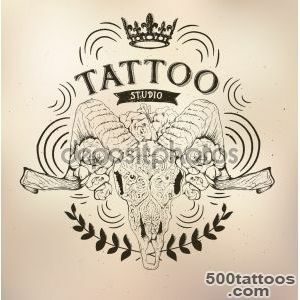 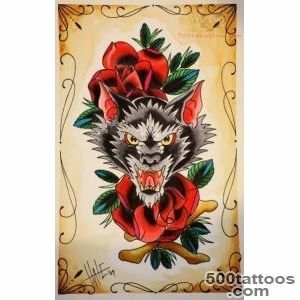 Now the old school tattoos are common among the different people and artists working in this style can be found in almost any tattoo parlor. 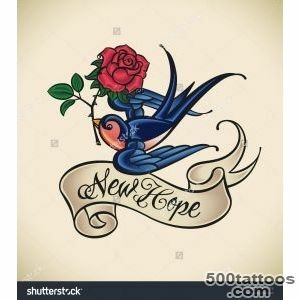 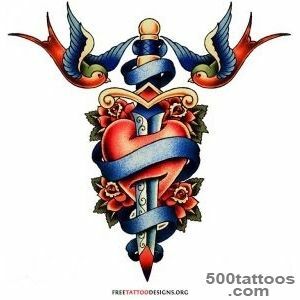 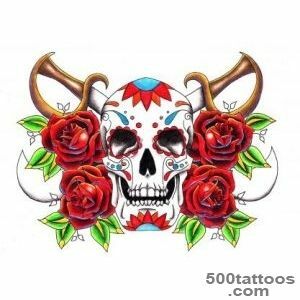 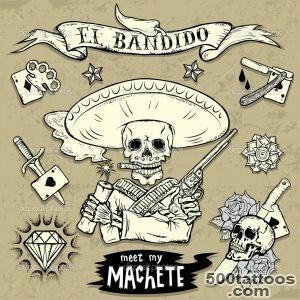 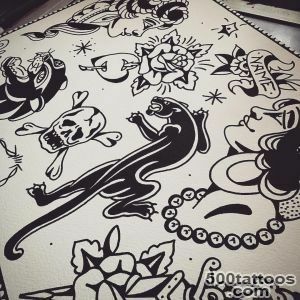 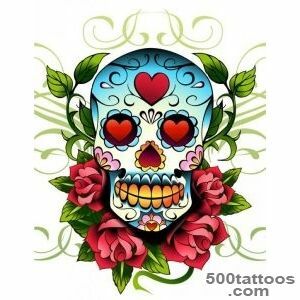 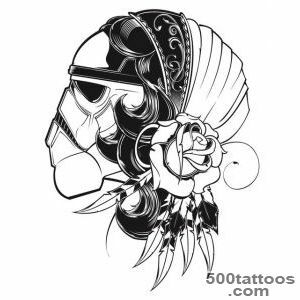 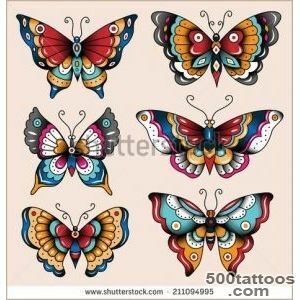 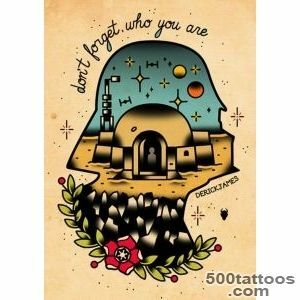 Tattoos in the old school style characterized by bright, vivid colors, thick outlines.For tattoos in a style not typical three-dimensional images, they do not differ realism of the objects, the correct form is not too important to them. 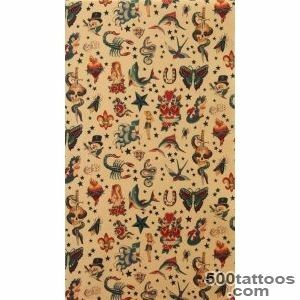 For the old school is characterized by a nautical theme : mermaids, ships, dolphins, sea, gulls, compass. 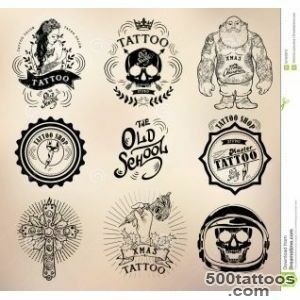 They send us back to the origins of this style. 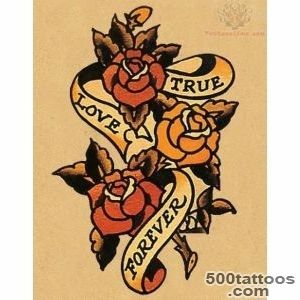 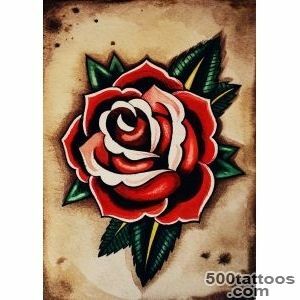 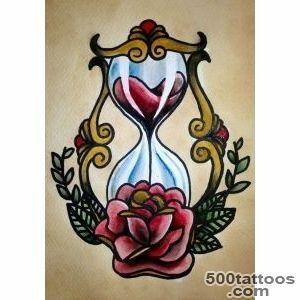 Often portrayed girls, roses, heart.These tattoos symbolize love, relationship. 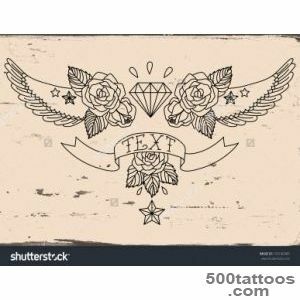 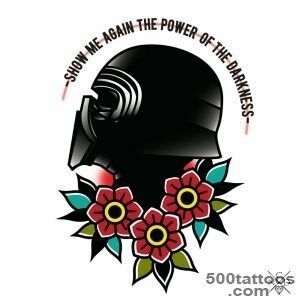 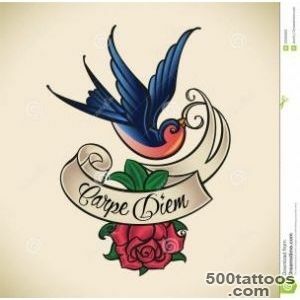 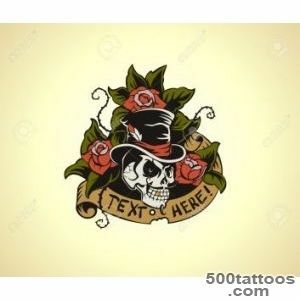 The inscriptions on old school tattoos - it quotes or names of loved ones. 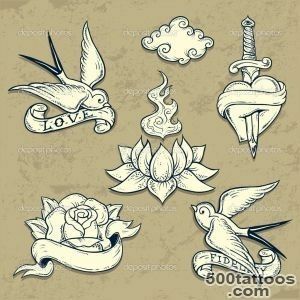 Hands folded in prayer, crosses, doves - all this is also used in the old school tattoos as a kind of amulet, able to protect from evil. 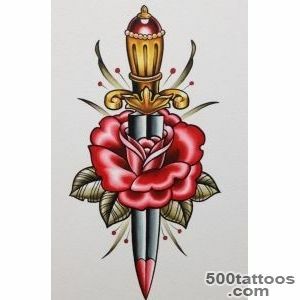 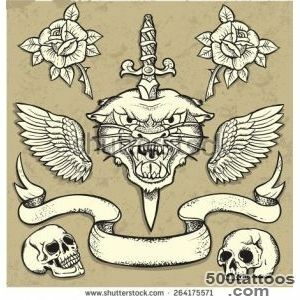 Daggers, knives, skull tattoos to remind us of death and the value of life.Panthers symbolize danger, cruelty, courage. 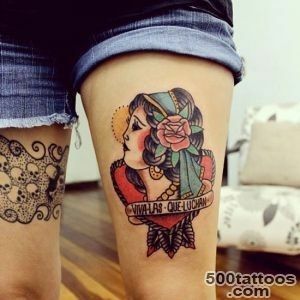 Often portrayed Pin-up girl - girl, girl in the image of the devil, a witch. 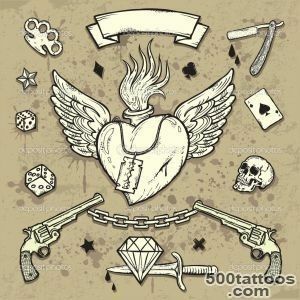 Also in the old school style tattoos can see the razor, stars, lightning, fire, dice and many other figures. 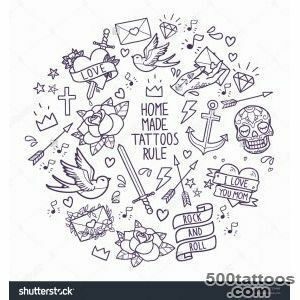 But do not pay too much attention to the symbolism.If earlier tattoos put the hidden meaning, but now they are doing just as decoration. 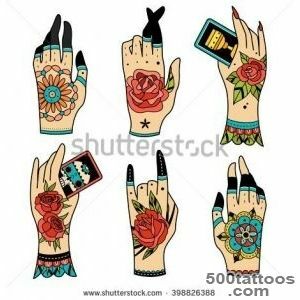 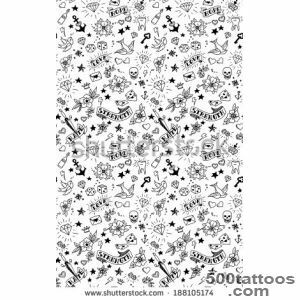 You can give her a tattoo of particular importance, perceive it as a reminder of something important to you, or you can simply fill pattern you like. 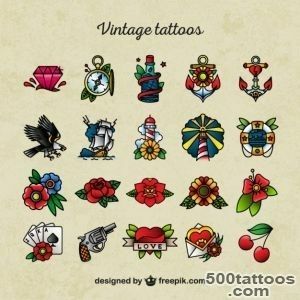 Now the old school tattoos beat those who like it simple and bright style.They are reminiscent of the sea, travel to distant lands and on dangerous adventures. 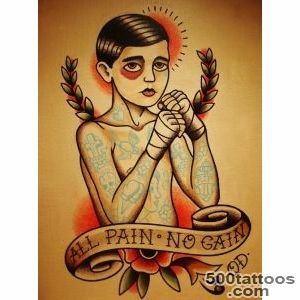 But despite the apparent simplicity, old school tattoo style also require a good command of technique. 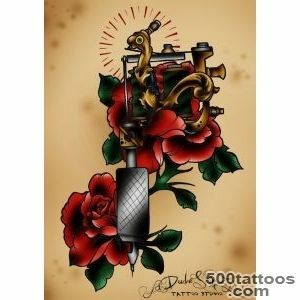 Do not rely on their implementation to anybody - find a good master, able to make a quality tattoo.